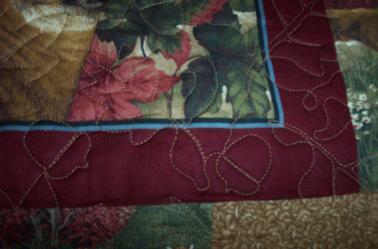 stitch on 2 yards of fabric, then cut them out. 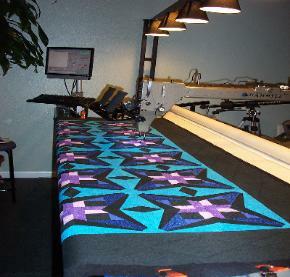 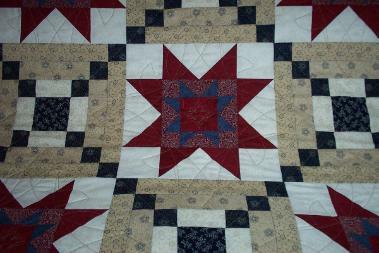 Quilt made by Rita of Fremont. 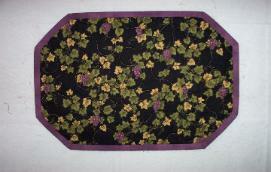 Used a repeated floral pattern. 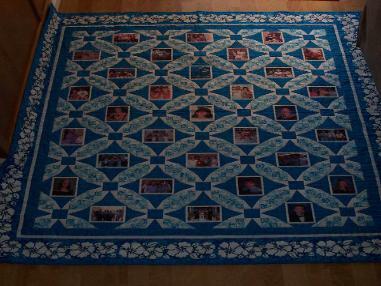 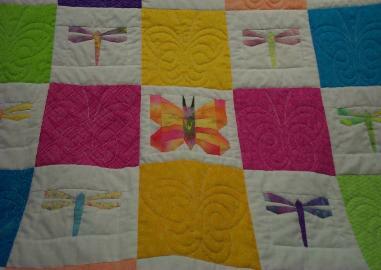 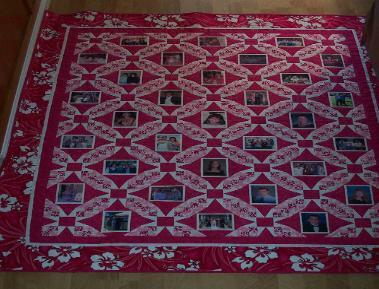 I made these quilts for my husband's son Brandon and daughter Jamie in memory of their mother Jeannie. 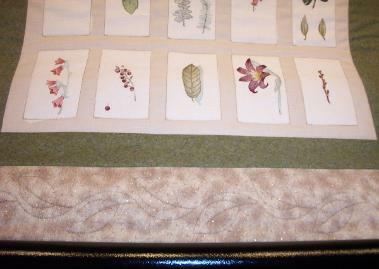 Vine leaf border and stitch in the ditch. 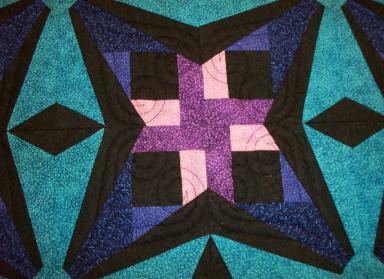 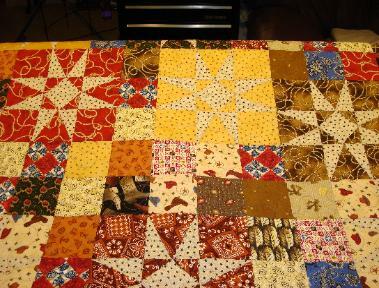 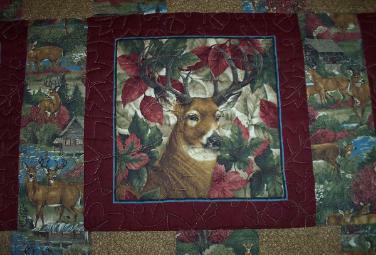 This is one of my own quilts using a Heart Pattern and Stitch In The Ditch. 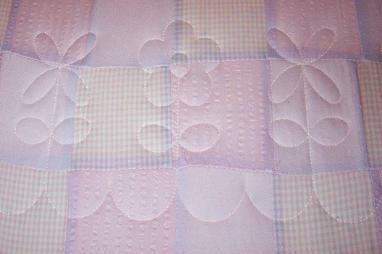 Flannel Quilt. 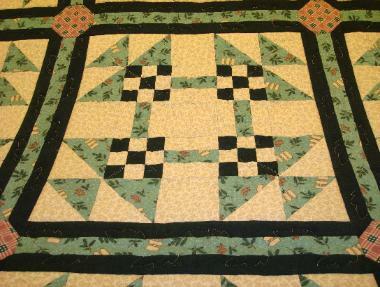 Front used a block pattern, stitch in ditch and leaf border in sashing. 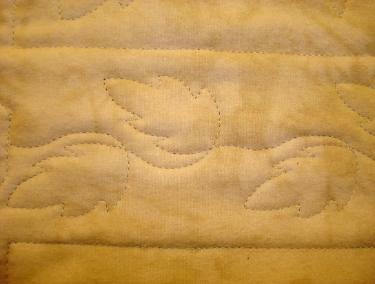 Back shows leaf pattern. 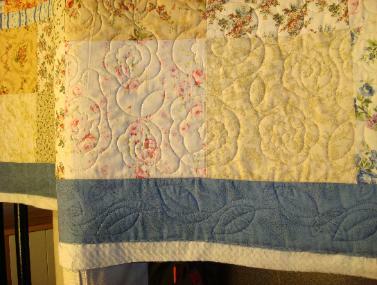 Leaf border with rose pantograph.